Zhou Yu assembles the other Wu generals. 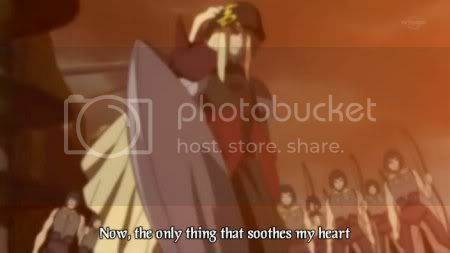 Zhou Yu: Thanks to my lax security, er, I mean my incompetent underlings, our enemy was able to have Arrow with our lord Sun Quan. This must never happen again. Meanwhile, Ling Tong tries to have FISH, but is unsuccessful. Lu Xun: Are your hands all right, Ling Tong? Don’t tire them out having FISH when I need you to pleasure me later. Ling Tong: Hah! Even if I Pleasured the entire enemy forces, I would still have the energy for you. 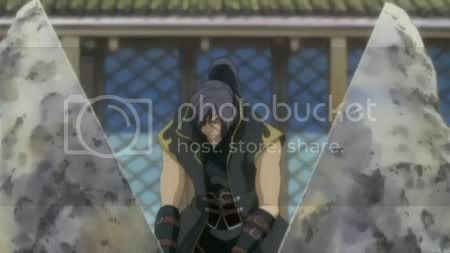 In order to prove his point, Ling Tong tries to have ROCK, but only ends up hurting himself. Ling Cao arrives. Ling Cao: You seem to have missed the point, son; it’s not about having Pleasure with as many different things as possible, but rather refining your technique. Your enemy will deliver intense HARD GAY, and only the strong and talented can hope to withstand it. 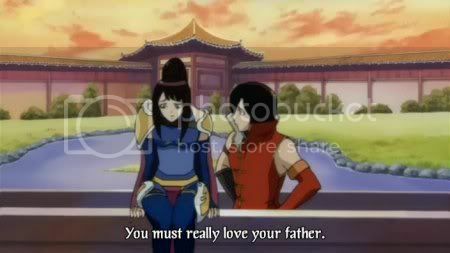 Ling Tong: Why do you still treat me like a kid who’s only able to have HARD GAY with his father? I’m not a child- I’m ready for more partners now! Having claimed not to be a child, Ling Tong childishly throws away his wooden sword and stomps away. Later, Lu Xun comes over to him. Lu Xun: You know, Ling Tong, you’re already having HARD GAY with the main character, so you can’t say you’re useless. Ling Tong: Thanks, aniki, I now immediately feel better! Lu Xun: You have your father to thank as well- he was the one who first taught you HARD GAY, after all. Ling Tong: Hmmph, if you ask me he’s fed up with having HARD GAY with me- he’s even forgotten his promise to teach me his ultimate techniques. Lu Xun: I think someone’s got a crush on their daddy! 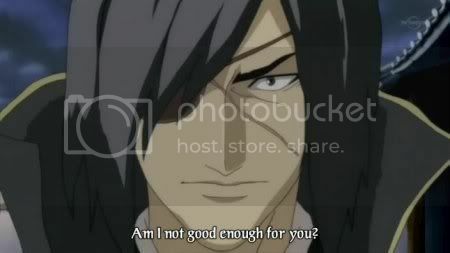 Ling Tong: No, I haven’t! I, er, I just want him to recognise my Liang. Elsewhere, Zhao Yun watches over Liu Bei, who for some reason is a young child in this anime. Liu Bei: Excuse me, can you explain why I look like a junior high school girl in this series? Liu Bei looks outside and sees Zhuge Liang washing his hair with Head and Shoulders. Liu Bei: Such lustrous, silky and shining locks! I must find out what shampoo he uses! There is a close up on Zhuge’s red lips. Liu Bei: And that lipstick too! Could he be a model for a cosmetics company? As Liu Bei falls out of his carriage, Zhuge vanishes, leaving behind some Boots vouchers. At the Wu borders, the enemy attacks with fearsome HARD GAY and RAGING HARD ONs. A soldier reports to Zhou Yu. Soldier: Sir, the enemy is attacking us! The three generals you sent to the front lines were not enough to police the entirety of our extensive borders. 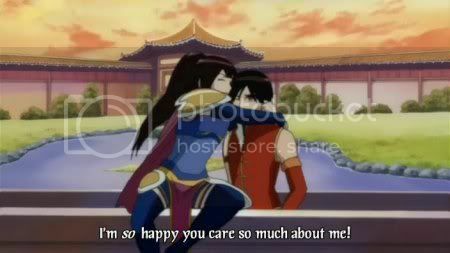 Zhou Yu: Damn, why am I so useless!? On a boat, the leader of the evil, Huang Zu, practises being villainous. Huang Zu: Gwakaka, destruction, blood, fire and evil! Did I miss anything out? Gan Ning: Sir, why don’t we stop being evil and retire to the bedroom? Huang Zu: Gan Ning, once your gentle embrace was all I needed, but no longer! I must hear the screams as I have my way with helpless lovers! 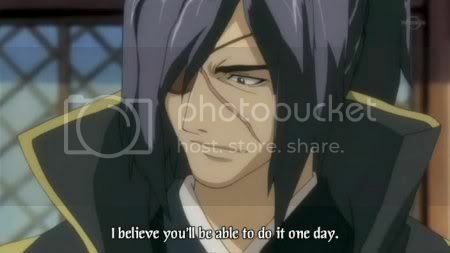 Gan Ning: If it would help, I will let you treat me roughly. Huang Zu: You fool! Your HARD GAY no longer interests me, for it is weak compared to what the Lord’s Cube has given me. Back in Wu, Lu Xun leads his party of named characters through the streets. Lu Xun: I can’t believe that Huang Zu could have twisted HARD GAY this much. It is supposed to an expression of love, not something hideous and rough. Zhuge Jin: It is human nature to want to be dominant and have one’s way with submissives. In the distance, a HARD GAY aura is seen. Lu Xun: They have the power of Hyper Self Pleasure! Ling Tong: How dare they!? Only Wu should have that power! Zhou Yu: The only counter to their Hyper Self Pleasure is a HARD GAY formation of our own. Lu Meng, Zhuge Jin, you wanted to be civil officials, so you must go to the front lines; Lu Xun, Ling Tong, you stay behind and service my needs. Generics, just stand around. Lu Xun: How can you make me stay behind when I’m the main character? Zhou Yu: Patience, my boy- your deus ex machina powers will be needed in due course. Ling Cao: Listen to Zhou Yu, boy, he may be ineffectual at security but he knows how to set up a good HARD GAY formation. By the way, how is my son? Lu Xun: He had a bit too much ROCK, but he’s fine now. Ling Cao: It’s my fault, really; the boy only had me as a partner when growing up, and now he desperately craves new lovers. Therefore I must leave him to you whilst I nip off to have some HORSE. Lu Xun meets up with Ling Tong, whilst Taishi Ci has intense HARD GAY with an enemy. Taishi Ci: What brute force! This is what Pleasure is all about! As Taishi Ci and the other generals are overpowered by the enemy’s intense Pleasure, Ling Cao arrives. Ling Cao: This is a job for my advanced techniques! Taishi: Damn you, how dare you flaunt your immense Hyper Self Pleasure abilities? You killed my lover! Lu Meng: Attack Mode On! This is what being a civil servant is all about! Taishi Ci and Lu Meng overpower Generic Enemy #1. Generic Enemy #1: Pleasure Field! No one can withstand the intensity of my HARD GAY aura! Ling Tong and Lu Xun watch the action. Ling Tong: When are we going to get any HARD GAY? Lu Xun: Be patient- we are more important characters than they are. The generic enemy crumbles into purple sparkles. Taishi Ci/Lu Meng: Double Musou! Generic Enemy #1 is similarly dispatched. Meanwhile, Zhuge Jin and a general face Generic Enemy #3. Zhuge Jin: Long distance HARD GAY! WEB! Zhuge Jin entraps Generic Enemy #3 in his web and dispatches him. 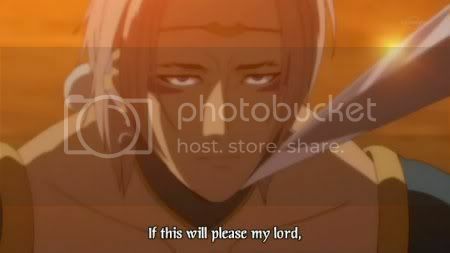 Zhuge Jin: Who says you need to be up close and personal to have good HARD GAY? Huang Zu is having HORSE behind the front lines. Huang Zu: How dare they get defeated and force me to terminate my HORSE session? Regroup, soldiers! As Huang Zu rides away, Ling Tong spots him. Ling Tong: This is my chance to get some EXP! Commence Attack Mode! Ling Tong initiates battle, forcing Lu Xun to join his party. His boomerang puts an abrupt end to Huang Zu’s HORSE. Huang Zu: How dare you interrupt my HORSE!? Hyper Self Pleasure! Huang Zu’s HARD GAY aura throws Lu Xun and Ling Tong back. Huang Zu prepares to attack Lu Xun, but his aura diminishes. Huang Zu: What’s happening? Could the strain of this intense HARD GAY be getting too much for me? Gan Ning: Sir, you have treated me badly and I am destined to defect, but for now, run away! Huang Zu mounts his horse and rides away. Gan Ning: Damn, a pair of children- I was hoping for better HARD GAY partners. Ling Tong: Don’t you dare insult my prowess in the bedroom! Lu Xun rushes forward to have HARD GAY with Gan Ning. Ling Tong: I want a man to myself, so I’ll go after Huang Zu! Ling Tong starts running away. Gan Ning: Hey, you were supposed to have HARD GAY with me! Gan Ning fires an arrow at Ling Tong’s back, who starts to turn around. Ling Cao: Dramatic Slow Motion Mode! Ling Cao takes the Arrow for Ling Tong. Lu Xun knocks Gan Ning backwards with a fire attack. Conveniently an unspecified amount of time passes whilst Ling Tong crouches over Ling Cao’s body in a specially ordered rainstorm. 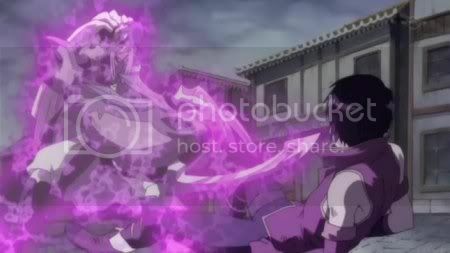 Ling Tong: Father, take this healing item- it will restore your HP! Ling Cao: It’s too late, son, my time in this series is over. 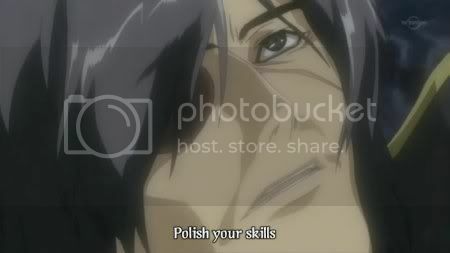 Polish your skills, and find new HARD GAY partners- I know you are ready. 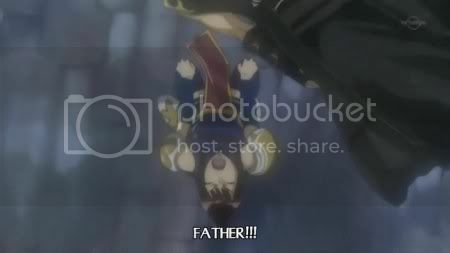 This entry was posted in Koutetsu Sangokushi and tagged Koutetsu Sangokushi. Bookmark the permalink.